Thousands of London transport passengers experienced problems with their Oyster cards this weekend due to a computer fault, rendering the cards useless for around five hours early on Saturday morning. "A number of cards used on the underground before 9.30am on Saturday may not be working as a result of the technical problem. We advise people to go to their nearest London Underground ticket office where they will be able to exchange their card," said a TfL spokesperson. 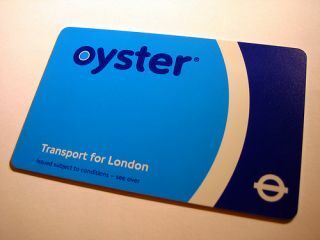 The fault occurred from 5.30am to 10.30am on Saturday caused problems with Oyster card readers, with thousands of passengers charged the maximum fare by mistake and thousands more having their Oyster cards rendered useless. Transport for London (TfL) is currently investigating the problem, and "will ensure that any necessary refunds are honoured and apologise to our passengers for any inconvenience caused." TfL adds, unsurprisingly, that Oyster faults are "very rare". If you have been affected by the fault, then head over to TfL's website to find out more.